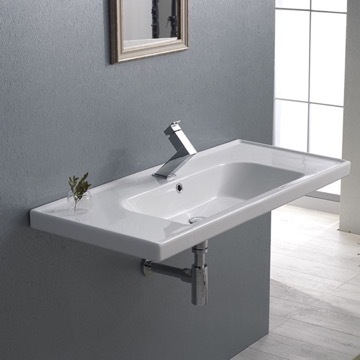 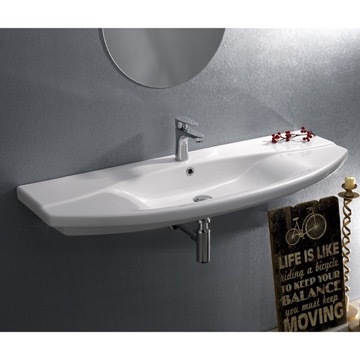 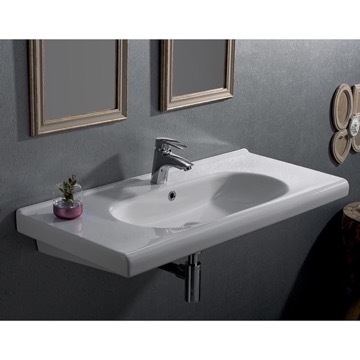 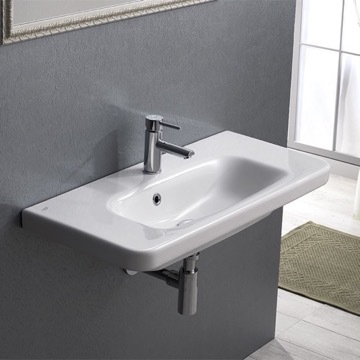 26 inch wall mounted or drop-in bathroom sink with one faucet hole and an overflow. 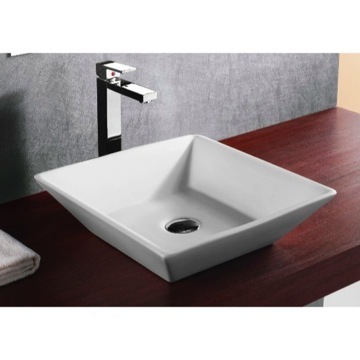 Sink is made of high-quality white ceramic. 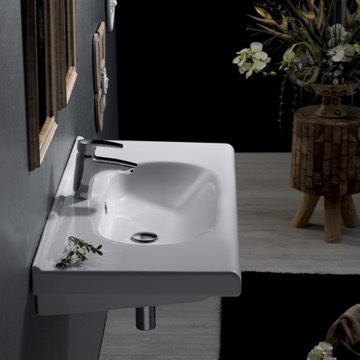 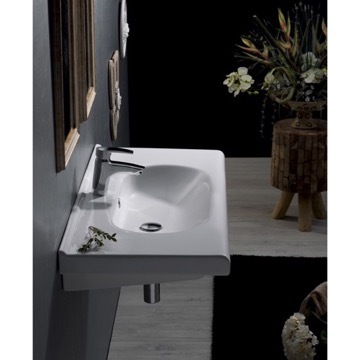 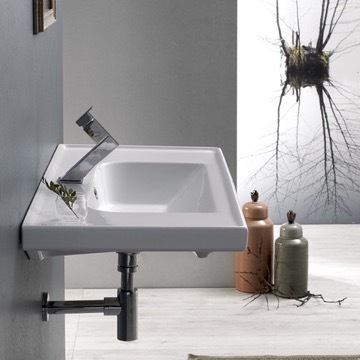 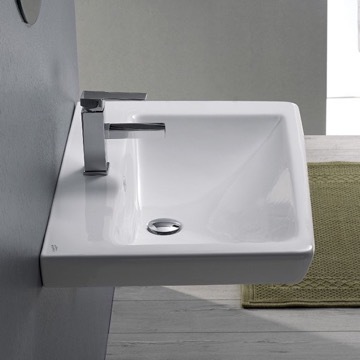 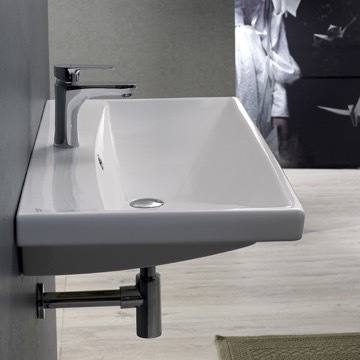 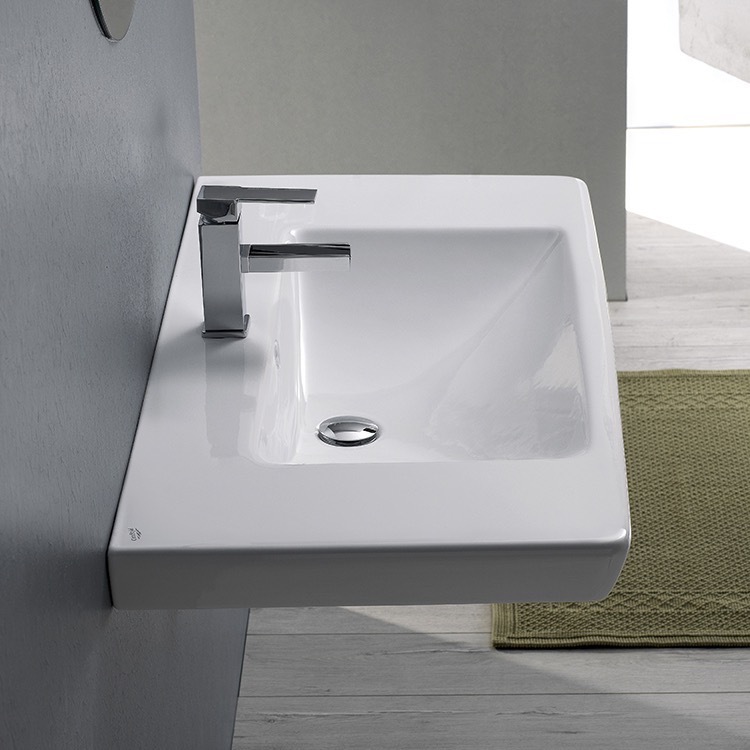 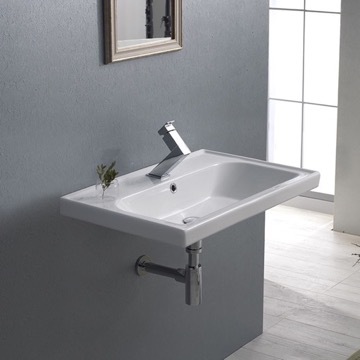 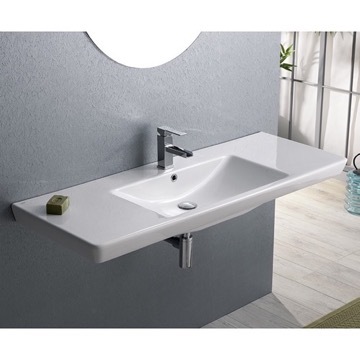 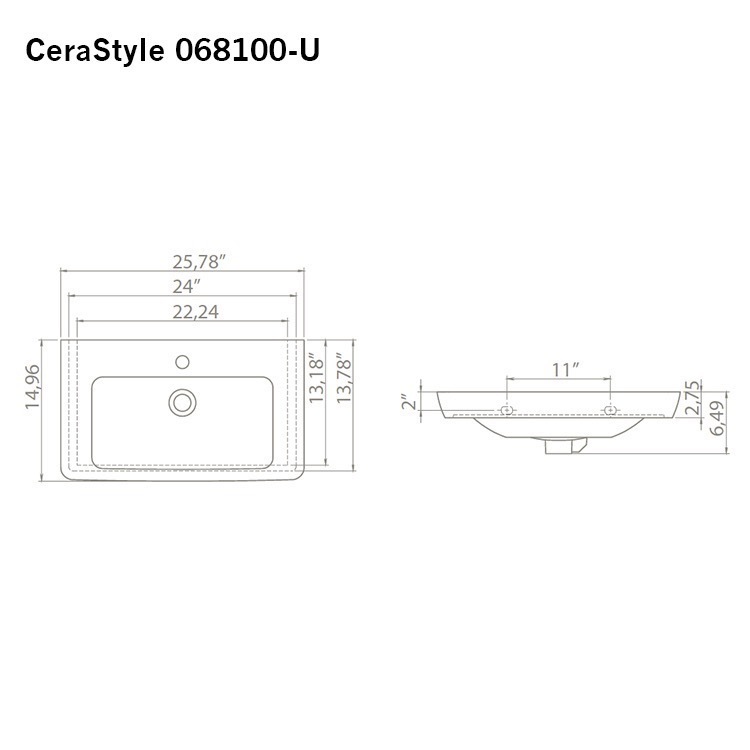 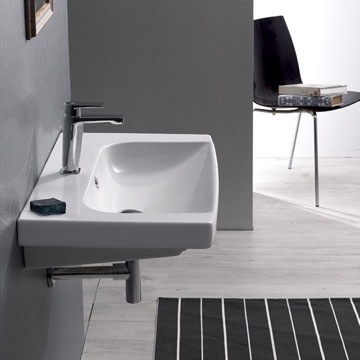 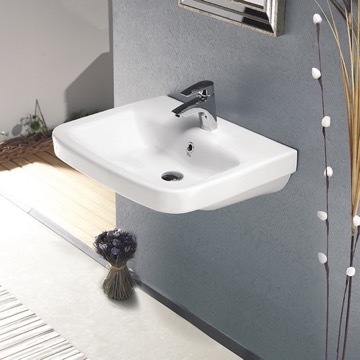 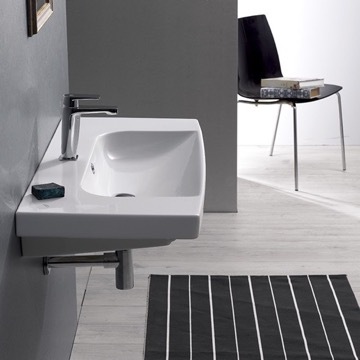 This modern sink is made and designed by well known Turkish brand CeraStyle. 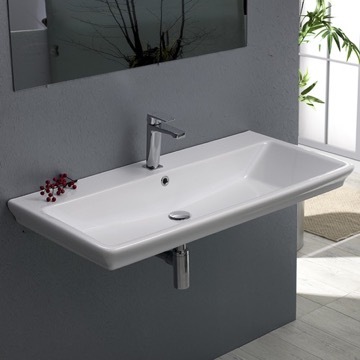 Perfect size...easy to install (one person job)..exactly what I was looking for. 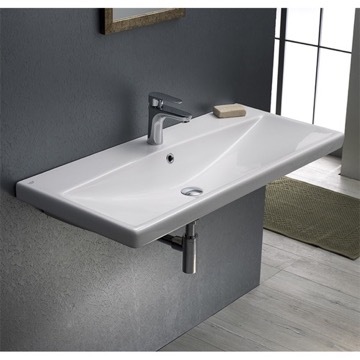 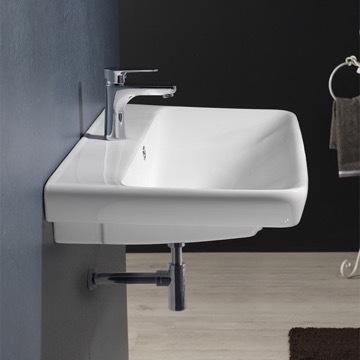 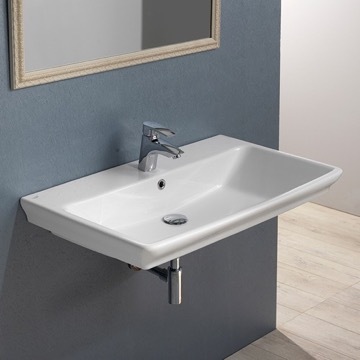 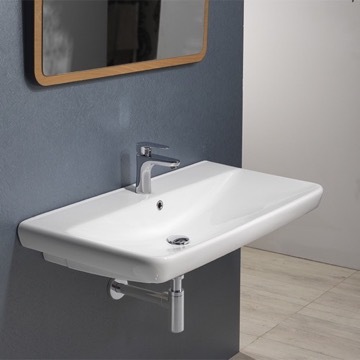 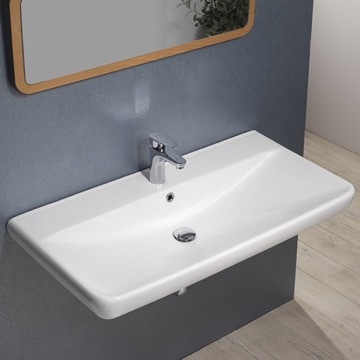 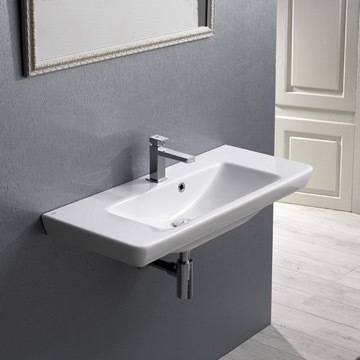 What are the basin dimensions? 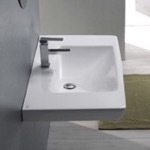 The basin measurements are 19" L x 9.5" W x 5" H.
Regrettably, this sink is not ADA compliant.